If Frank Underwood, Kevin Spacey’s character in House of Cards, offered you online marketing tips, would you take them? In a world where consumers have control, a few online marketing tips from Frank may be just what the politician ordered! Today’s social savvy politician knows the important role social media plays in winning – or losing – a campaign. The same holds true for your business. If you want to succeed, social media has to factor into your overall strategy. Be human – Today’s consumers want to feel like their voices are being heard. They want a response – and not an automated or scripted one, either. Be authentic, true to your brand and talk WITH consumers when they reach out to you. Speak the language – If you’re on Twitter, you have 140 characters to say what you want to say. With Vine, it’s a six-second video. Pinterest is all about the visuals. For that matter, most of today’s social media networks, including Google+, are all about the visuals. Connect with communities – You can’t be all things to all people, so why are you trying to reach all 500 billion Facebook users? Target and connect with smaller communities and groups within your various social media networks. Engage Engage ENGAGE – Have you ever been to a networking event and had the misfortune of being cornered by that one person who talked all about himself and never asked a single question about you? 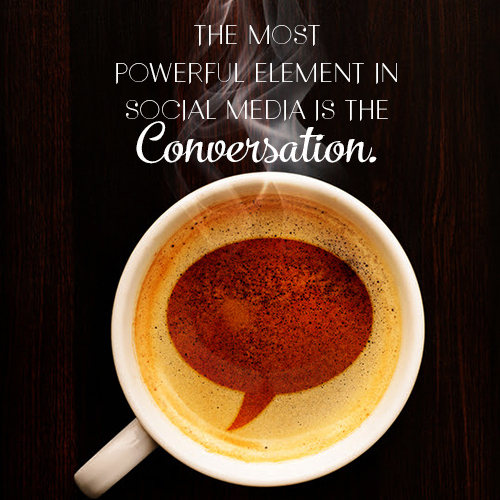 The most important of all online marketing tips is to remember the key to social media marketing: it’s social! The politician who makes his social media sites all about himself is likely to have very few followers, likes, shares, or comments. Ask questions, listen to what people are saying, provide relevant and engaging content, join other groups and communities and share other groups’ messages. No matter what business you’re in, social media continues to play a growing part in the success of your brand. Follow these online tips and, just like Frank Underwood, your success will lead to another deck for your house of cards. Ingrid Gee, Internet Marketing Consultant. Blue Dress® Marketing, an Internet Marketing Company. Internet Marketing Developed, Implemented and Managed to Full Circle! Organic Internet Search Engine Guru. Turn Key Internet Optimization Programs Placing You Everywhere and Anywhere You Need to Be Online® ingrid@bluedressinc.me.